All motorists are required to maintain state-minimum liability insurance coverage for bodily injury and property damage that you may cause. Liability coverage is used to pay for damage incurred by others. Drivers have the option of adding comprehensive and collision coverage to pay for damages to your car. Serious car accidents are a reality for motorists. In 2017, there were over 37,000 people fatally injured—roughly 1,000 in Arizona alone. Collision coverage allows for the repair costs or replacement of your vehicle following a collision. Collision coverage applies regardless of fault. When Does Collision Coverage Apply? Among the many types of auto insurance, collision coverage is used in various scenarios. One example is if you crash into another car or object such as a tree or light post. This coverage would also be used if you drove off the road into a ditch. It is also commonly confused with comprehensive auto insurance coverage. The primary difference between collision and comprehensive auto insurance is whether the vehicle was under the driver’s control at the time. Comprehensive is generally thought of as being applicable following “acts of God” or nature. Examples would include damage from a hailstorm, vandalism, or theft. Both types of coverage are usually sold together and make up what is referred to as “full” coverage. Those financing or leasing their vehicle are going to be required to maintain full coverage. The lender that you are making payments to implements this requirement for their protection. If the vehicle became severely damaged, the lender wants to know their asset is covered. The majority of collision and comprehensive policies have a deductible amount. This is an amount that the policyholder must “pay out of pocket” in an insurance claim. Collision deductible amounts are commonly $250, $500, or $1,000. We will use an example where your car incurred $5,000 in damage and your policy has a $500 deductible. You would pay the initial $500 toward the repair and your insurer would then pay the remaining $4,500. Choosing a higher deductible amount will generally lower the amount of your premium. It is possible that multiple insurance policies could potentially be used to cover the same damages from a single accident. This could create an opportunity for abuse if the insured filed a claim with both policies. The insurance industry implemented provisions to prevent this problem where the insured may potentially profit from a claim. The principle of indemnity seeks to prevent this practice. If more than one insurance policy could potentially cover a loss coverage is limited to the amount of the highest single policy limit. These measures are often called “anti-stacking” protections. In situations such as when a vehicle is damaged beyond repair, your collision coverage will pay for a replacement. If the vehicle is “totaled”, the amount the insurer pays is generally based on the actual cash value. Keep in mind that your vehicle begins depreciating in value it is purchased. Actual cash value can be summarized as the replacement cost minus the estimated depreciation. Some auto insurers recently have been advertising “guaranteed better vehicle replacement” or “full new vehicle replacement” policies. Keep in mind that these policies are likely to have some extra costs factored into the premium. Motorists now have many online resources for quickly and accurately estimating their car’s current value. Sites including Edmunds and Kelley Blue Book are two of the more popular options. Should I Maintain Collision Coverage on an Older Car? Cars over 10 years old with a value of less than $3,000 may not be worth maintaining collision coverage on. This evaluation needs to be made on a case-by-case basis. You should analyze the cost of the collision policy premium compared to how much the car is worth. Traditionally, those who rent a car are covered by their collision rental coverage provided by their credit card. Your existing auto insurance policy would provide liability coverage. In recent years, many credit card companies have started no longer including this form of coverage in the card user agreement. It is critical that when renting a car you check your credit card agreement and auto insurance policy. If coverage is not provided or insufficient, you will want to purchase added coverage options from the rental car company. Another potential coverage benefit within your collision policy is for a rental car to use while your vehicle is being repaired. Often these policy provisions are called “loss of use” coverage and usually specify a daily rate of rental reimbursement. For example, your policy may provide $35 per day for a rental car with a maximum limit of $500. Finding auto insurance that provides a combination of superior coverage and excellent value can be a challenge. Often key policy features and benefits are buried in paragraphs of fine print making it difficult to truly compare competing policies. At the Gebhardt Insurance Group, we will properly evaluate your needs and identify the best options from dozens of insurance carriers. Contact our team of professionals today in Casa Grande at (520) 836-3244. A recent U.S. study reported that roughly 33% of Americans have never shopped around or compared prices for automobile insurance. Among these individuals, the leading reasons mentioned were a lack of time and a dislike of paperwork. However, it is wise to make car insurance comparisons by obtaining quotes either online or through your agent. Always maintain adequate levels of coverage to repair or replace your vehicle and to protect you from potential liability. As a precaution, be sure to review the “fine print” on policies that appear overly affordable as well. The Arizona Senate Committee on Transportation and Public Safety have proposed a measure that could soon cause premiums to rise meaning the time to consider and compare car insurance options is now. Arizona currently requires motorists to maintain a minimum of $15,000 in bodily injury liability per person ($30,000 per accident) and $10,000 in property damage liability coverage. SB 1087 would increase these levels from $30,000 per accident to $50,000 and increase property coverage from $10,000 to $15,000. This would be the first increase in the liability minimums in over 40 years. Lobbyist Rob Dalager estimates that monthly premiums could rise by as much as $8.00 per month. A similar proposal passed in 2018; however, it was vetoed by the governor who cited affordability concerns among those with low income. Senator Lupe Contreras supports the measure because most vehicles today are unable to be replaced for $10,000. As with most consumer products, searching for the best deal is often the smart thing to do. Prior to comparing policies, you should have a basic understanding of auto insurance. Check with friends, relatives, and co-workers to see if they have any recommendations. Your choice of vehicle is likely to impact your auto insurance rates. Cars that are expensive will be more costly to repair and replace. Expect sports and performance cars to be more expensive to insure. Certain models have minimal theft prevention measures and are commonly stolen. Be sure to check insurance pricing before purchasing your next vehicle. Look for opportunities to safely reduce your coverage. Those will an older car may consider no longer maintaining optional collision and comprehensive coverage. You can use tools online including Kelley Blue Book or Edmunds to estimate the value of your vehicle. Raising your deductible on your auto insurance policy can reduce your premium. However, you need to be sure that you will be able to comfortably afford paying the higher deductible if necessary. An increase from $200 to $500 may save you up to 30%. Raising the amount to $1,000 could potentially result in a 40% savings. Consider available ways to save through “bundling” policies. You may be eligible for savings if you have multiple vehicles on the same policy. You may be able to switch your homeowners, renters, or life insurance to the same company and get better rates. Consult with your insurance agent to identify potential offers. Those who maintain a clean driving record through safe driving are typically afforded lower rates. Similarly, those who do not file any claims for a period of several years may be eligible for better rates. Keep in mind that insurers will look for any claims in the prior six-year period. Insurance companies use statistical data as a means of determining rates. Data has shown that those with good credit are less likely to file an insurance claim. It may be helpful to review a copy of your credit report to check for any errors that may hinder your credit standing. Auto insurance companies routinely advertise discounts that you may qualify for. Students are often eligible for a discount by maintaining good grades. Senior adults or active members of the armed forces are often provided discounts as well. Some companies will offer a discount if you complete a defensive driving course. According to the Federal Highway Administration, motorists in the U.S. currently drive an average of 13,476 miles annually. Those who drive well below average should consider a policy geared for low mileage drivers. It is estimated that these policies could save up to 10% on auto insurance premiums. Those who are members of a professional organization or involved in an alumni group may be eligible for certain discounts. You should check with your employer to see if they have any group discount arrangements as well. Unlike captive insurance agents who represent a specific carrier, independent agents offer insurance through various carriers. Having an independent agent compare car insurance rates through multiple companies may end up saving you some money. These professionals are also likely to be aware of discounts that you may qualify for. The Gebhardt Insurance Group located in Casa Grande has been providing insurance solutions in the region now for over 15 years. We remain committed to providing our customers with excellent coverage at affordable prices. We now represent over 40 of the top insurance carriers. Contact our office today at (520) 836-3244. Why is it important to shop around and compare your auto insurance options? First, state law requires all motorists to maintain minimum levels of liability insurance to cover injuries and property damage. Also, the price of automobile coverage continues to escalate and can be costly. The Insurance Information Institute reports that the total average annual cost of ownership for a new car is roughly $8,000. Part of this ownership cost is the annual insurance premium. According to AAA, the annual average cost of insurance (premium) for a mid-level sedan is $1,232. The ADOI oversees the market and they investigate consumer complaints. In 2018, they published the Premium Comparison and Complaint Ratios for Automobile Insurance. This report shows it is worthwhile to do some “comparison shopping”. They obtained hundreds of quotes from insurers using varying sets of consumer information such as age, the model of vehicle, prior driving record etc. Automobile insurance policies contain many variables; therefore, you must identify these factors to accurately make comparisons. We will go through these many considerations to be sure you can determine if you need them or not. Bodily Injury Liability: This covers injuries that you may cause to others when at-fault in an accident. The state requires that you maintain a minimum of $15,000 of coverage per person and $30,000 per accident total. Property Damage Liability: This covers property damage that you may cause to others when at-fault in an accident. The state requires that you maintain a minimum of $10,000 in coverage. When referring to the state’s minimum required liability coverage, you may see it specified in an abbreviated format as 15/30/10. Collision: This form of optional coverage is used to repair or replace your vehicle in the event of an accident. An example would be if you struck a tree with your vehicle. This coverage generally will apply to any vehicle that you are operating—not just your own. Comprehensive: This form of optional coverage is used to repair or replace your vehicle following some other event than a collision. An example would be if your car was stolen or vandalized. When financing a vehicle, lenders require you to maintain both collision and comprehensive coverage to be sure their collateral (your vehicle) is protected. Medical Payments: This coverage is also commonly referred to as Personal Injury Protection. It is used to pay for medical expenses that may result from accident injuries. This coverage may extend to passengers that are in your car at the time of an accident. This may be a coverage selected by those who do not have health insurance coverage. Uninsured and Underinsured Motorist: Some motorists fail to comply with the mandated liability coverage requirements. Uninsured coverage will pay for your costs if the other motorist lacks coverage. It also may apply in a “hit and run” or “hit-skip” accident. Underinsured motorist coverage is used for covering losses that may exceed the limits of the other driver’s policy coverage. The state’s mandatory minimum for bodily injury and property damage liability coverage of (15/30/10) was implemented in 1972. In 2018, the legislature proposed increasing the minimum requirements to (25/50/25). Governor Doug Ducey vetoed this legislation, citing concerns that the increase would make insurance coverage unaffordable to many low-income motorists. Deductibles are a fairly standard component of collision and comprehensive auto insurance policies. This is the amount that the insured must initially pay “out of pocket” before the insurance coverage assumes payment. Common deductible amounts range widely from $250 to $1500 and beyond. An example to consider is if you had an accident that caused $2,000 in damage. If your policy deductible was $500, the insurance company would pay $1,500 after you have satisfied the deductible. Auto insurance companies will typically adjust their rates of collision and comprehensive coverage according to the vehicle you are insuring. Some market reports have shown that recent rate increases have been attributed to the many added features included in today’s vehicles. Features such as on-board electronics and safety features such as rear-bumper cameras make it more costly to repair a damaged vehicle. Similarly, you can expect your rates to increase based on the replacement cost (value) of your vehicle. Insurance companies may adjust their rates based on where you live. For example, those in highly populated urban areas may pay a higher premium compared to those in rural areas. This is due to increased traffic and likelihood for a collision. Certain areas also have higher rates of crime and vehicles may be more likely to be stolen, vandalized, etc. When using online tools to obtain a rate quote you will clearly notice rate fluctuations among different zip codes. Insurance companies are likely to consider your recent history of traffic violations in calculating rates. They generally see those with multiple tickets or other driving infractions as being higher risk. Statistics have shown that those with good credit are less likely to file an insurance claim. In some states, a driver’s credit standing is not permitted to be considered by insurers; however, it is permitted in Arizona. Insurers view statistical data when determining rates. For example, teenage drivers are more likely to drive in a risky manner and they have less experience driving. Young male drivers are among the most expensive to insure. You may notice as you reach the age of 25 that your premiums tend to decline. Those residing with other family members should be aware of potential policy coverage limitations that apply to other members of your household. For example, parents with a teenage driver at home may pay a higher premium. Insurers recognize that family members are likely to borrow each other’s car. Arizona law allows insurers to limit their liability to state minimum amounts (15/30) for bodily injuries occurring when another driver is operating the vehicle. It may be possible to reduce the policy premium by specifically excluding another member of the household from policy coverage. Consult with your insurance agent for details when applicable. When shopping, keep in mind that insurers are likely to raise rates on those with an insurance claim in the last seven years. How do they make this determination? Insurers maintain a database to exchange information regarding those who have filed claims. If it seems that your rate quotes are high it may be attributed to this. There are different sources where you can shop for and obtain auto insurance. Captive Agent: A captive insurance agent represents a single insurance carrier. Many of the largest carriers use them to market their policies. Independent Agent: Agents who are independent may offer policies from multiple carriers. They are able to shop on your behalf to find the most suitable and best-priced policy for your individual needs. Buying Direct: Typically this involves going to the insurance company site to compare rates and buy directly. Many consumers feel that not having a local agent is a drawback. Often, purchasing insurance through an independent agency gives you the “best of both worlds.” You have the local service and personal support from an agent, while still allowing you to minimize costs. For example, if your agent knows that a carrier they represent is raising their rates they may proactively identify other options for you. You will also still potentially have access to “multi-policy” car insurance discounts. The Gebhardt Insurance Group recently received a “Best Customer Service” award. We are able to shop and compare policies from over 40 carriers to find you a great value. Our agency also provides insurance solutions including homeowners, life, commercial, and more. Contact our office today at (520) 836-3244. The National Highway Traffic Safety Administration (NHTSA) reports there are over 1,400 vehicle collisions each day. Many of these auto accidents lead to injuries and sometimes fatalities. Many crashes result from problems such as speeding, distracted driving, and drunk driving. Because of the high number of vehicle collisions, it is critical to maintain your car insurance. 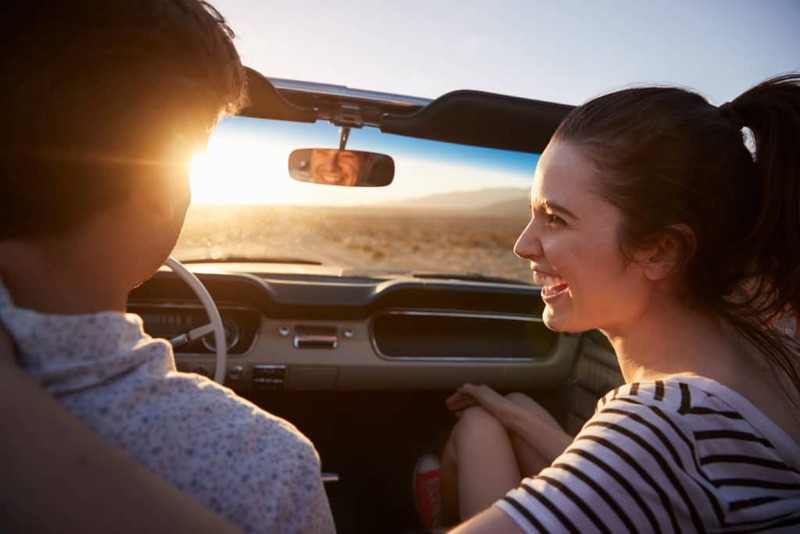 The Gebhardt Insurance Group has provided auto insurance to Arizona residents for many years and encourages you to contact them for all your insurance needs. Drivers should assess their positioning and posture upon entering the vehicle. Properly adjust your mirrors to maximize visibility and minimize blind-spots. You should be able to see the ground in front of the vehicle for at least 12 feet. Position yourself comfortably with a good upright posture. Another key to accident avoidance is properly maintaining your vehicle. Regularly inspect your tires for proper inflation and remaining tread depth. “Bald” tires may cause you to lose control of the vehicle in wet conditions. Your brakes should be responsive and should function without any sounds that may indicate excessive wear. Check that your headlights, taillights, and turn signals are all operable. According to the Governor’s Office of Highway Safety, 32% of fatal accidents in Arizona happen when a driver is traveling above the speed limit. Increases in speed reduce reaction time and braking distance and heighten crash severity. Remain alert when making left-hand turns at intersections. Many “t-bone” (side-impact) car accidents are caused by a driver who is still exiting the intersection when you turn. Pay attention to signs and signals. For example, many drivers disregard signs to yield and fail to exercise proper caution at pedestrian crossings. Usage of high beam lights in rural areas may allow you to see if a large animal may be crossing. Look out for those who may be racing through red lights at intersections as a practice for avoiding collisions. Remember that large trucks (semis) have a large blind spot toward their right rear. Allow for plenty of space between your car and the car in front. Avoid “tailgating” to allow for a safe braking distance. Distracted driving is now a major safety concern, largely due to mobile device usage. Too many drivers are making phone calls and text messaging that leads to vehicle accidents. Many car collisions are also caused by driver’s who are eating, using in-car electronics, and applying makeup. Auto accidents are clearly a problem on our roadways. It is critical to have sufficient levels of auto insurance coverage. The Gephardt Insurance Group can research policies from dozens of insurance companies on your behalf. We will find you coverage that is both affordable and provides you with maximum protection. Contact the office today at (520) 836-3244 to speak with a member of our team! The average cost of auto insurance in Arizona is estimated to be between $1,247 and $1,355. In comparison, the national average is reported to be between $1,365 and $1,425. 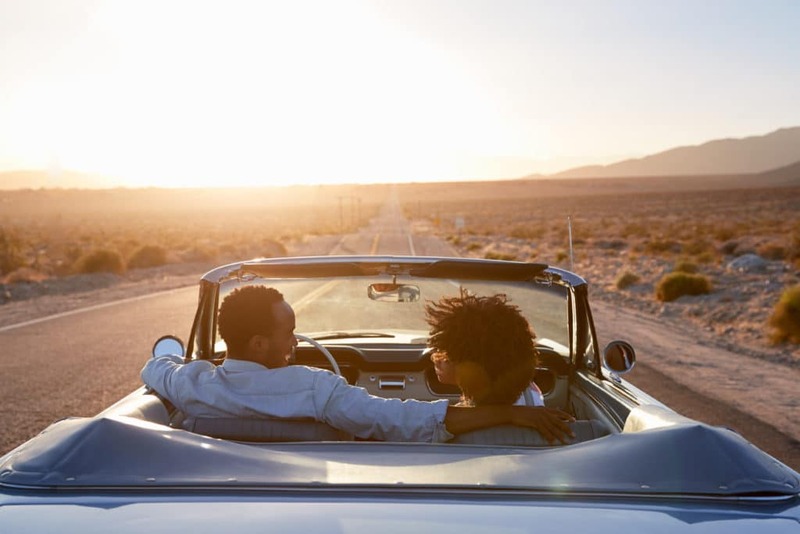 Insurers calculate auto insurance premiums based on various factors including your location, driving record, credit score, gender, age, and more. The majority of insurers offer different types of discounts. These discounts may be small or potentially save you up to 25% on your car insurance. We encourage Arizona drivers to contact our independent insurance agency to compare rates and discounts. The Gebhardt Insurance Group, located in Casa Grande, proudly serves this region. According to ABC15 News in Phoenix, auto insurance rates in Arizona rose by almost 30% from 2014 to 2018. Janet Ruiz, with the Western Insurance Information Institute, explained that some increases are the result of new forms of technology being added to vehicles. Features such as rear cameras and heated seats are common in new vehicles. Insurers recognize that these advancements lead to higher costs for replacement parts following an accident. Ruiz says that prices may stabilize as the new advanced safety features begin to reduce the volume and severity of crashes. In the meantime, consumers are encouraged to determine what potential discounts they may qualify for to reduce insurance price increases. In business, demographics are sets of characteristics that statistically identify populations and segments of the marketplace. One type of discount that insurers commonly offer is marketed as “senior” or “retiree” discounts. Often, these discounts are geared towards those over the age of 55 or 65. Another commonly seen discount applies to homeowners. Those who own a house or condo may find offers that provide some savings. Some insurance companies offer discounts to those who bundle their auto and homeowners insurance policies, as long as the policies are with the same company. Students may receive discounts as well. Those in high school or college may qualify for “good student” discounts as long as they maintain good grades. Many insurers think students with higher grade point averages are more responsible and are less likely to be involved in accidents. Qualifying for these academic discounts may be based on grade point averages or other academic thresholds. Insurance companies may seek to attract young drivers who could potentially develop into loyal, long-term customers. Some auto insurance discounts are available for those who are members of certain groups, clubs or have other affiliations. Those associated with the military are likely to qualify for discounts. Many discounts are for those in active duty military service, veterans and their family members. 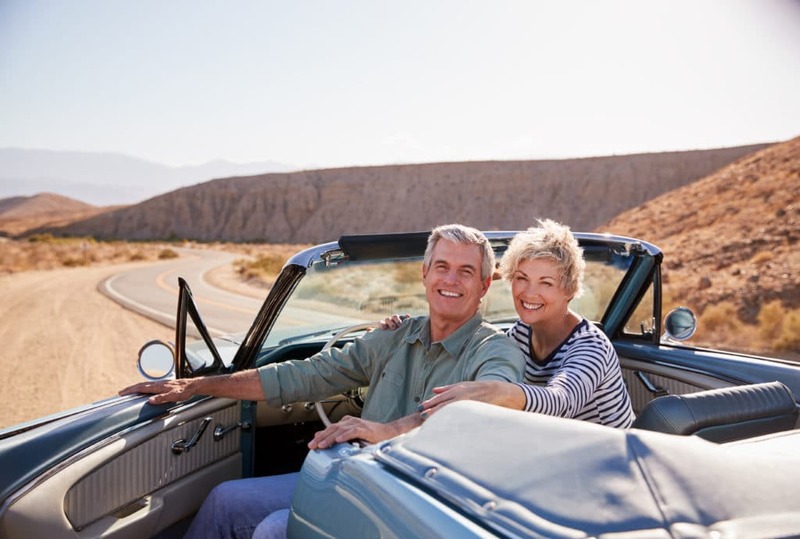 Drivers who are members of AAA or AARP are commonly afforded discounts as well. Some insurers will market their discounts to business associations or alumni groups. School teachers are often able to qualify for car insurance discounts as well. A discount incentive may be offered for younger drivers who choose the insurance company that their parents use. Often young drivers are simply added to their parent’s policies. Adding teenage drivers to the policy can be costly because they are viewed as higher risk. Parents may encourage younger drivers to obtain their own insurance coverage. In this situation, an insurer may employ a “legacy” discount. Customer “loyalty” discounts are also common for those who have maintained coverage for some period of time. If your policy is expiring soon, a competing insurer may be willing to provide you with a financial incentive to switch. Many insurance companies impose a “billing fee” for those who make monthly installment payments on their policies. This cost can be avoided by paying for the policy in advance—often a six-month period. Many insurers also offer discount incentives for automating processes associated with billing. These may include enrolling in their “automatic” program for electronically paying your premium. This is where payments are made via bank account or credit card as a form of “paperless” billing. Most insurance companies that offer a variety of different insurance products offer “multi-policy” discounts. For example, those who also have their homeowners or life insurance with their auto insurance provider will be eligible for discounts. Those who have multiple cars or add a motorcycle or recreational vehicle may also receive discounts. Often, in addition to enjoying discounts, insurance customers prefer the added ease and convenience of having their policies with a single company. 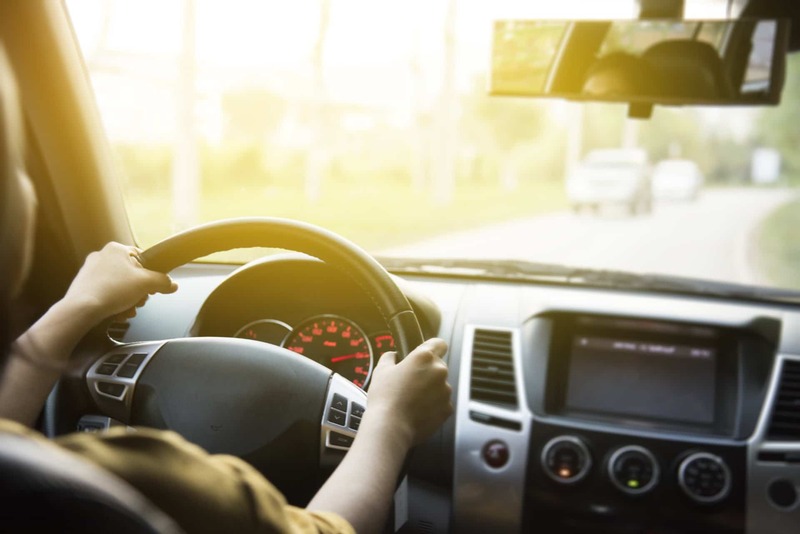 Drivers with a clean driving record, which does not contain traffic violations or accidents, will generally obtain better auto insurance rates. Some insurers also offer discount incentives for avoiding accidents and insurance claims. These may be called “good driver” or “accident-free” discounts. Some companies offer specialty auto insurance policies for those who do very little driving. Several start-up insurance companies have also introduced policies that use a form of automated tracking for “pay-per-mile” coverage. Low-mileage policies through mainstream carriers may be available for those who drive less than 7,500 miles annually. Some insurers will offer discounts for completion of a recognized defensive driving program or educational course. There are limited standards within the car insurance industry for such discounts; however, they may be available to you. Often these educational programs cost drivers as little as $25. As technology has progressed, some insurance companies have employed methods of monitoring driver behavior. For example, customers who are willing to plug in tracking devices to the vehicle’s diagnostic system can earn discounts. These devices are capable of detecting the driver’s speed of acceleration, sudden braking, and the amount of time spent driving. To qualify for a discount the driver may have to allow for a lengthy monitoring period to demonstrate safe driving habits. Vehicles with automatic daytime running lights that turn on when driving. This feature makes the vehicle more visible to others on the road and reduces the likelihood of collisions. Some insurers have offered discounts for those insuring hybrid or electric vehicles. These discounts are commonly referred to as “green vehicle” or “eco-friendly” driver discounts. Installing a vehicle security system or anti-theft devices may qualify you for discounts that will save money on comprehensive coverage. A few insurance companies will offer discounts for many of the advanced safety features available on newer vehicles. Some of these include sensors that monitor the driver’s blind-spot and automatic emergency detection and braking systems. Those who are seeking auto insurance offering superior protection at an affordable price are encouraged to contact The Gebhardt Insurance Group. Our customers benefit from our ability to assess their specific insurance needs. We can find the right solution for you among the dozens of car insurance companies we work with. Call (520) 836-3244 to speak with one of our friendly insurance professionals today! An auto insurance deductible is a specific amount that you will “pay out of pocket” when you file a claim. Your car insurance deductible will likely impact your insurance rate, often referred to as your insurance premium. You will need to pay your deductible before your car insurance company will pay to repair your car. Common deductible amounts are between $250 and $1000. Understanding deductibles is critical because auto insurance coverage is a necessity for drivers that continues to be more and more expensive. When shopping for car insurance, it is recommended that you seek help from a professional insurance agent. The Gebhardt Insurance Group in Casa Grande will be sure you save money and help you fully understand your insurance coverages. In this scenario, we will assume that while parking your vehicle you struck a fire hydrant. It is then determined that the repairs will cost $5,000. If you have a $500 deductible on your collision policy, you will need to pay $500 first. Your insurer will then pay the remaining $4,500 needed for the repair. All drivers in Arizona are required to maintain liability insurance. This coverage pays for injuries or property damage to others if you are deemed financially responsible for an accident. Deductibles do not apply to this form of mandatory coverage. Other optional types of insurance where deductibles generally do apply include collision and comprehensive coverage. Collision coverage is used for repairing or replacing your vehicle if you strike another car or object. Comprehensive is for repairing or replacing your vehicle in the event of some other circumstance such as theft, vandalism, fire, etc. When a driver adds collision and comprehensive coverage to their policy they are considered to have “full coverage”. One reason why deductibles are important is that the cost of repairing or replacing a vehicle continues to rise. Recent data from Arizona insurers shows the average annual premium for full coverage ranges from roughly $2,264 to nearly $5,000 annually. Your premium is calculated based on many potential factors. Your insurer may consider your age, past driving history, history of insurance claims, the replacement value of the vehicle and more. Where you live is also a critical factor. Rates tend to rise in larger urban areas for reasons such as increased traffic volume and likelihood of theft. There is an inverse relationship between your car insurance deductible and your premium. A recent study looked at how rates from USAA Insurance varied according to a higher deductible amount. They estimated that raising a $500 deductible to $1000 would save policyholders approximately $170 per year. While many people will certainly choose high deductibles to minimize premiums, the decision should be made wisely. It is critical to choose a deductible amount that you can realistically afford. Equally as important is to review the coverage limits on your policy. If you purchased a $20,000 car and your coverage limits are $15,000, you will need to have an emergency fund. Those with a recent history of filing an insurance claim generally pay higher rates. Claims made through a collision policy in 2017 led to a 43% average premium increase. For this reason, many people prefer to pay for minor damage out of pocket. What about claims you file that are not truly your fault? The Arizona legislature has addressed this concern. Arizona’s 20-263 provisions prohibit insurers from increasing rates when an accident is “not caused or significantly contributed to” by the insured. When you are leasing or making payments toward purchasing your car there may be deductible restrictions. Lenders need to ensure their investments are protected. Many finance agreements will require that the deductible be no greater than $500. Arizona statute also requires that insurers offer an option for coverage of damaged safety components without a deductible. The state’s 20-264 provisions apply to comprehensive policies for private passenger vehicles. This requires that insurers make a zero deductible option available for purchase; however, this applies only to the windshield, other exterior glass and lights. Are you finding that shopping for car insurance in Arizona is somewhat confusing and time consuming? The Gebhardt Insurance Group is an independent agency that is deeply rooted in the local community. Our agents are experts at identifying policy options that offer tremendous savings and excellent coverage. We encourage you to contact our office today at (520) 836-3244). It is essential for a driver to understand their car insurance policy, yet car insurance can be quite confusing. There are a wide variety of factors that affect car insurance. In this article, we will explore some car insurance FAQs that you may have. Car insurance covers different things depending on the type of policy. The minimum car insurance requirement is liability coverage, which covers damages that you inflict on other vehicles and medical bills for anyone injured. You can also purchase comprehensive plans that cover damage to the other person and their vehicle, as well as yourself and your vehicle. What are the types of auto insurance? To learn more about these types of auto insurance, check out this page. What’s the difference between liability coverage, collision coverage, and comprehensive coverage? Liability coverage: This is the type of insurance that the law requires all drivers to have. 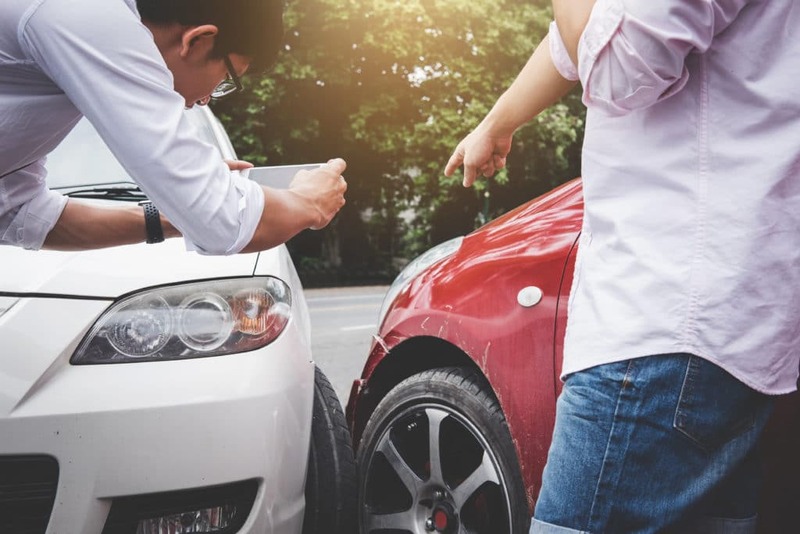 In the case that you cause an accident, liability insurance will cover the loss, damages, and injuries to the other driver and and their vehicle. Liability coverage does not cover your vehicle damages or medical bills. It is also the cheapest of insurance coverages. Comprehensive and collision coverage: Each of these types of insurance can protect your bank account when your vehicle is damaged. Collision coverage gives you protection for any collisions that you are involved in, including collisions with another car, a tree, or any other stationary object. Comprehensive coverage is for things like theft, vandalism, and natural disasters. What happens if I don’t have auto insurance? An SR-22 certificate, which tells insurance companies that you are a high-risk driver. This will result in higher premiums. The point is, you should have car insurance. It may cost you now, but it protects you from a huge financial hit down the road. How much does auto insurance cost? One term that insurance agents and plans emphasize is “deductible.” In short, a deductible is the decided amount of money that a person must pay before their insurance begins paying. When deciding on a policy, you must choose the dollar amount of your deductible wisely. What is the relationship between my monthly premiums and my deductible? The relationship between your monthly premiums and your deductible plays a major role in determining the overall cost and coverage of your plan. The higher your deductible, the more money you will have to pay before the insurance company takes over remaining payments, and the lower your monthly premiums will be. If you choose a lower deductible, you will pay less in the case of an accident, but you will also pay higher monthly premiums. For high-risk drivers, it makes the most sense to pay higher premiums to provide a better deductible. For confident drivers who have not been in previous accidents, paying lower monthly premiums may be the better choice. Do auto insurance companies deny service? Unfortunately, insurance companies can deny car insurance coverage to certain drivers. Most often, companies simply raise the premiums to match each individual’s driving record, but they can deny anyone coverage outright. The DMV provides some common reasons for denial. Generally, it is not common for companies to deny coverage. Nonetheless, it is important that you avoid the reasons above so that you can find a plan favorable to you. In short, an insurance claim is a request to the insurance company for compensation or coverage for a loss that is already included in the policy. If you are involved in an accident, contact your insurance company immediately. Bundling can be a great way to save money and simplify your insurance. Many companies will combine homeowner’s insurance with auto insurance to form one package. This helps you efficiently track your different insurance policies. Our team at Gebhardt understands the different bundling packages on the market and would love to help you find one that is right for you. What happens if I’m driving a friend’s car or a rental car? People often drive cars that don’t belong to them, whether it be a friend’s vehicle or a rental car. It is important for drivers to understand how their policies apply to cars that do not belong to them. If you are driving a rental, make sure that it has roughly the same value as your own car. If the car is damaged in an accident that you cause, then your insurance will cover the costs as if it were your own. Are there any car insurance discounts? Auto insurance can be quite expensive, and this is particularly true for younger drivers. Most insurance providers have a good student discount, which can be helpful in alleviating some of the cost. Talk to one of our insurance agents to find out if there are any car insurance discounts you qualify for. We hope that these car insurance FAQs help you to understand the intricacies of auto insurance. If you are looking for an auto insurance plan that meets your exact needs, contact us for a free insurance quote today. 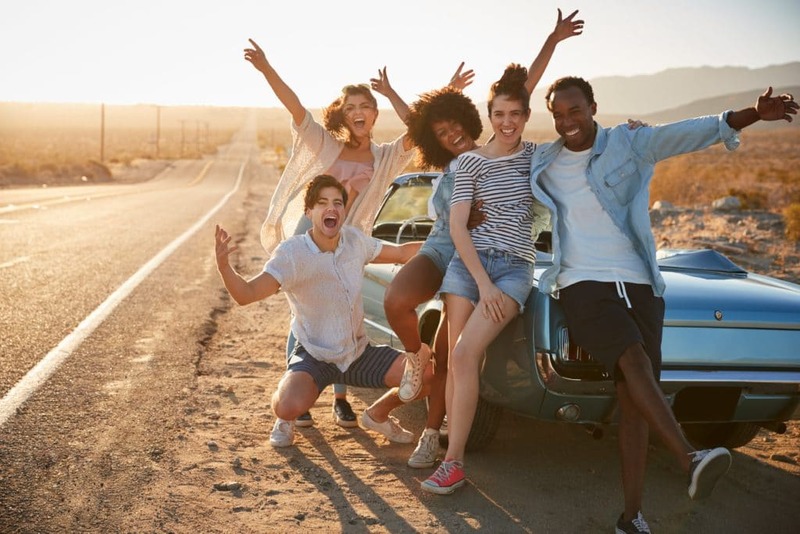 Our team at Gebhardt Insurance Group is knowledgeable about the workings of auto insurance and is passionate about helping you find the right plan. The car insurance premiums that motorists pay for car insurance rose by roughly 33% from 2010 to 2016. These rising costs continue to put pressure on those with limited financial resources. The Insurance Institute for Highway Safety is a research organization that gathers and analyzes insurance data. Their data shows that automobile insurers currently pay around $900 annually in insurance claims for each vehicle that they cover. It is helpful for consumers to understand the various factors that insurers consider when calculating rates. Not all insurance companies use the same formula for determining rates. Most include factors such as the type of insurance coverage, your driving record and the vehicle you drive. It is best to work with an experienced insurance agent who will shop multiple carriers to find you the best cost for your needs. A recent ABC15 News report indicates motorists in Arizona have experienced a 30% increase in the rates of car insurance over the past four years. Much of the increase is attributed to the addition of many new technical safety features. Newer cars are increasingly equipped with cameras, sensors and other on-board electronics that may be costly to replace. Janet Ruiz of the Western Insurance Information Institute believes that as more drivers purchase newer cars with these safety features the reduction in accidents should stabilize prices. These minimum requirements have stayed the same since they were implemented in 1972. Earlier this year, state legislators voted to increase the minimum amounts of required car insurance for all motorists. Governor Doug Ducey vetoed the measure that would have led to a large increase in auto insurance rates to reflect the new 25/50/25 requirements. Ducey said that he had concerns that drivers would be unable to afford the premiums for providing the higher coverage. These forms of coverage are mandatory for all those operating a motor vehicle with the “15/30/10” minimum previously discussed. They apply exclusively when you are deemed as “at-fault” in an accident. Bodily injury coverage is liability insurance used to pay for costs such as medical expenses and lost wages for those injured. Property damage liability is used to repair or replace someone’s vehicle or other physical damage caused. Collision coverage is used to repair or replace damage that occurred to your vehicle. It applies whenever your vehicle strikes any moving or fixed object. When someone leases or finances a vehicle purchase, the lender will require this coverage for their own protection. Keep in mind that this type of coverage will become more costly when insuring higher-end luxury vehicles. This applies when your vehicle is damaged or lost as a result of a reason other than a collision. Some of the common reasons include theft, fire or vandalism. Comprehensive coverage claims were rampant this past year in the regions hit hardest by hurricanes. Both collision and comprehensive coverage typically will include a deductible amount. The deductible is a predetermined amount that the insured party must pay before the insurance begins paying. Some of the common deductible amounts are $500.00 and $1,000.00. Those who have a larger deductible are likely to save money on premium costs. Drivers who maintain comprehensive and collision coverage are referred to as having “full coverage”. Unfortunately, some drivers on the road choose to break the law by operating a vehicle without the required liability coverage. 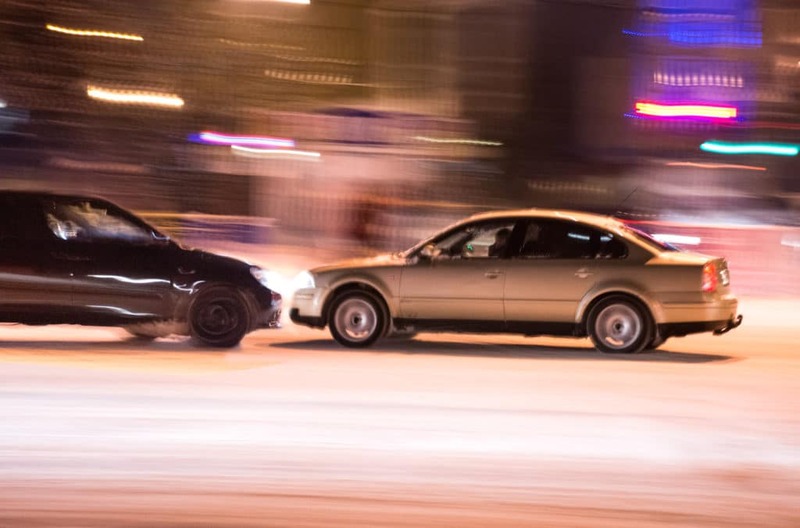 This type of coverage may also apply when you are involved in an accident with a “hit-and-run” driver. Underinsured coverage is used when the damages in an accident exceed the maximum limits of the at-fault driver’s liability insurance. The minimum amount of coverage that may be offered by insurers is equal to the state’s minimum liability requirements. “Med” coverage is generally considered a supplemental type of insurance. The coverage is used specifically for medically-related expenses that result from a vehicle accident. Car insurance providers consider your driving history when assessing you future likelihood of collisions and claims. Insurers generally can access a database that shows your history of previous insurance claims for the past seven years. They will also look at your recent driving record to see if you have caused any accidents or been cited for violations. Those with a clean driving record and claims history are going to enjoy lower insurance premiums. Where you are located has some influence on the amount you will pay for car insurance. Those who use their vehicle for work purposes may be at greater risk for an accident. Other geographical considerations may include whether you live in a rural area or a busier, urban area. Insurers may use statistics such as the rates of vehicle theft in your area to identify risk factors. Younger drivers (under 25 years old) are more likely to be involved in traffic accidents. Teenage drivers are less experienced and are more likely to exhibit risky behavior. Women generally have lower premiums compared to men. People who are married tend to have lower premiums. Insurers do commonly factor in your credit score when calculating premium rates. Data has shown that those with higher credit scores tend to be involved in fewer accidents. A University of Texas research study found that “poor credit history strongly relates to insurance losses in the automobile insurance industry”. How important is it to have sufficient automobile insurance coverage? It is critical that you are adequately protected considering that last year in Arizona there were over 127,000 vehicle crashes. The Gebhardt Insurance Group is a local insurance agency committed to finding you a car insurance solution that is a perfect fit for your needs. We work with dozens of highly rated auto insurance companies. Our team will find you the best coverage to fit your needs at the best rate possible. We will gladly assist you with insurance for motorcycles, recreational vehicles and boats as well. Contact us today for a quote at (520) 836-3244. An Arizona Department of Transportation report shows that in 2017 there were 127,064 crashes with 919 fatalities and 37,823 injuries statewide. Compared to 2016, the total number of crashes was roughly the same (+.02%), but fatalities rose by approximately 5%. The economic impact of vehicle crashes is troubling. Injuries, fatalities and property damage in 2017 exceeded $6 billion in Maricopa County alone. Recent improvements in safety technology such as emergency braking and collision warning systems are expected to begin reducing these numbers. One often overlooked safety factor for drivers is how their posture and body positioning relates to crashes and crash severity. Cars today have many adjustment options with even compact models having car seats that will better accommodate drivers of all sizes. Manufacturers work to improve ergonomics and generate good results in crash tests. Dr. Ginger E. Dorsey, who manages ergonomics for the USDA, explains that those with poor sitting posture over long periods of time create problems in their neck, shoulders, and arms, etc. This initial discomfort may lead to problems with chronic pain. Poor positioning will make people more susceptible to injuries in a car accident. The International Research Council on Biomechanics of Injury says many drivers are adjusting themselves into seating positions that may be dangerous in collisions. They explained the challenges of creating designs that allows you to adjust your seat for both comfort and “optimal occupant protection”. Dan Ridgeway, a managing engineer with General Motors, describes this challenge as one that seeks a good balance. Driver expectations regarding seat adjustability and control settings have now risen considerably. Most consumers do not consider how their position (posture) may impact their safety in an accident. Your tailbone should rest near the back of the seat for proper posture and lumbar support. There are various back support cushions available in the market today or simply use a rolled up towel. There should be minimal pressure on the head and neck regions. The top of the headrest should be positioned near the ears. The headrest should remain in this neutral position to prevent a whiplash injury or other potentially harmful medical condition. Another example of bad posture is being too close to the steering wheel. Maintain approximately 10 inches between the wheel and your chest. AAA now recommends placing your hands on the wheel at the “9 o’clock and 3 o’clock” positions instead of the “10 and 2”. The wheel contains an airbag that may quickly deploy in a collision. This strong force can cause your hands to forcefully strike you. Seat yourself so you can fully engage the pedals without discomfort. Drivers less than 5’6” tall may consider pedal extenders if the vehicle is not equipped with pedals that will adjust. Your legs should bend comfortably with the lower seat belt strap firmly positioned across the hips. Gebhardt insurance serves the entire state of Arizona. We understand the physical and emotional problems that a serious injury can create. We attend to everyone as if they are a personal family member and we do not treat you like you are just another number. We offer insurance quotes from over 40 carriers. To speak with a member of our experienced team contact the office at (520) 836-3244 today. Windshields are considered to be safety devices according to the U.S. Department of Transportation. Driving with a damaged windshield is dangerous. Debris such as rocks can easily damage a windshield. Auto insurance companies in Arizona are required to replace windshields for customers who maintain full coverage insurance policies at no cost. Even a minor chip or crack in the windshield can quickly expand if not repaired. Vehicles that are newer come with windshields that often have special features, especially for luxury cars. This poses a challenge for claims departments to make sure they use compatible replacement windshields. Small chips or cracks in your windshield are generally able to be repaired for $50 to $60. Windshields deemed beyond repair will require that you replace the entire windshield, which is more costly. Noise reducing layer: A thin and clear laminate-type layer may be in your windshield to limit the amount of noise within the cabin of the vehicle. Bands for shade or glare: A band of tint along the top of the windshield that shields occupants from harmful sun rays and glare. Moisture sensors: A small device that detects rain. It is capable of activating the wipers and may be able to regulate the speed of the wipers as needed. Wiper heating element: A component that maintains warmth on the part of the windshield where the wiper blades rest to prevent ice from forming. VIN number: The windshield may contain a space for the vehicle identification number, which can be read from the outside. Components needed for the rear view mirror such as attachment brackets or electrical elements. Antennas: A thin metallic antenna is often contained within the windshield. Arizona is not alone in requiring auto insurance companies to provide comprehensive vehicle coverage repair or replace damaged windshields without a deductible. Other states with this requirement include Florida, Kentucky and South Carolina. In AAA’s 2017 Your Driving Costs report, the annual operating and ownership costs for a 2017 model vehicle in the U.S. was $8,469. The average annual premium for full coverage vehicle insurance policies is $1,202. Arizona Senator Karen Fann has recently supported legislation to eliminate the “zero-deductible” requirement for windshield installation that auto insurance companies face. One version of the bill allows insurance providers to impose a deductible amount that the insured would pay “out-of-pocket”. Many of those in support of such changes feel that this could potentially reduce insurance premiums for all policy holders in the state. The Property Casualty Insurance Association (PCIA) asserts that rampant fraud has developed in zero-deductible states. The PCIA claims that deceptive auto glass repair service providers are overcharging insurers for repairs. They believe these providers are offering cash incentives to consumers who file repair claims. Mark Osborn, an insurance company advocate, says that 88% of all glass replacement claims are from those in zero-deductible states. Rex Altree is the president of the Arizona Auto Glass Association. He explained that eliminating the requirement will cause a surge in the number of motorists who choose not to replace their damaged windshields. He feels that because of the expense many will ignore the flaw in structural integrity, creating a major safety concern. T&S Auto Glass, based in Chandler, Arizona, says the average cost of windshield replacement in 2017 was between $200 and $500. Illinois-based Glass America says the average windshield replacement cost is roughly $210 to $230. For some rare or luxury vehicles, this cost can approach $1,500. CarsDirect reports that windshield replacement cost averages may reach $325 depending on the vehicle. Certain high-end manufacturers, such as BMW and Lexus, recommend that windshield replacements only occur at their dealerships. These “dealer only” requirements are likely to be more expensive. Comprehensive: This is used to cover damages and replacement costs caused by occurrences such as vandalism, theft, hail, etc. Glass Coverage: This is considered a supplemental form of coverage exclusively for glass repair and replacement. At Gebhardt Insurance Group, we are focused on delivering excellent personal service and meeting your individual insurance needs. Our customers benefit from our ability to offer auto insurance policies from the leading companies in the industry. Contact us today to speak with one of our agents and receive a free quote! Free Insurance Quotes From 40+ Carriers!